I made an all purpose storage container as inspired from my previous DIY craft tube. This time it's a 5 1/2 inches container with cover to store knick knacks or can also be converted into a pencil, pen, or brush holder. 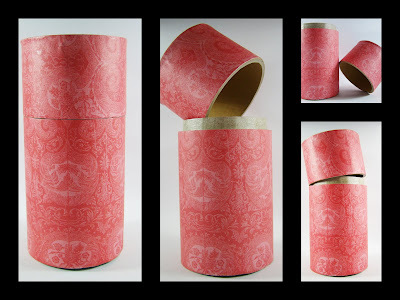 The container has a vintage feel/look to it by using a designer paper.